The San Francisco restaurant scene is never dull. 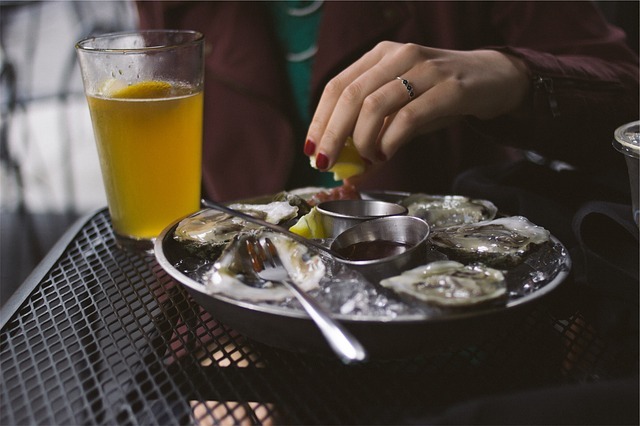 Whether you’re a local and just can’t keep track of all the culinary goodness or a visitor, there are plenty of places to enjoy a good meal in the City by the Bay. Here are several top San Francisco restaurant choices broken down by their cuisine. If you’re in the mood for Italian fare, you can never go wrong with Seven Hills (1550 Hyde St.). Long one of the city’s top Italian restaurants, this establishment also serves one of the most famous Italian dishes in the city: the ravioli uovo. This is a saucer-shaped hand-made ravioli that is stuffed with ricotta and spinach, making a nest for an egg yolk. The pasta is surrounded by a pool of truffle oil and brown butter. 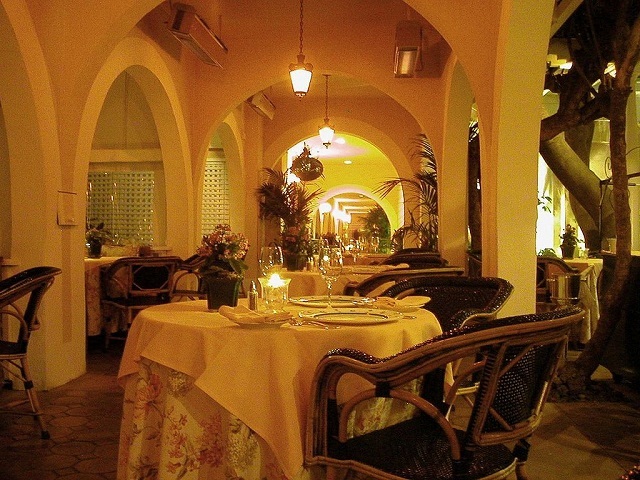 KokkariEstiatorio is a luxurious San Francisco staple that serves classic Hellenic cuisine. Known for having the best grilled octopus in the city, diners should also try the famous lamb chops, traditional moussaka, and perhaps the galaktoboureko for dessert. Kokkari is located at 200 Jackson St. (at Front St.). Diners who crave an authentic Chinese dining experience will definitely want to visit Chili House in the city’s Richmond District (726 Clement St.). 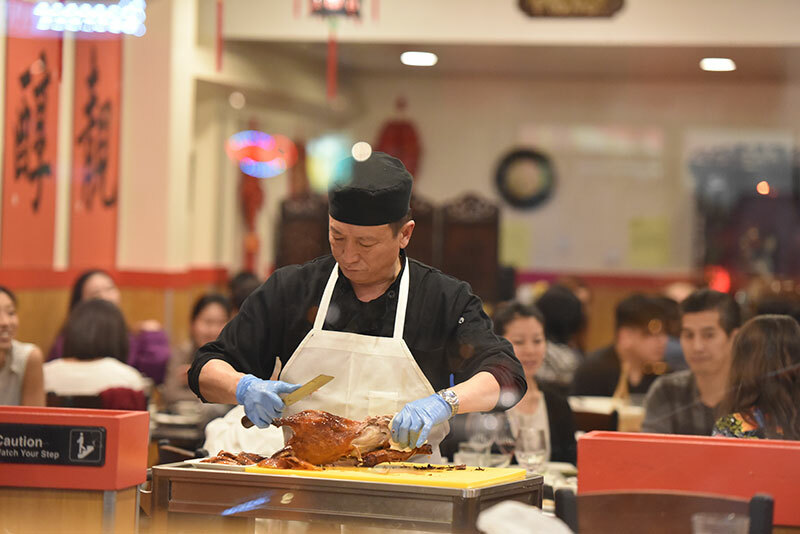 The restaurant’s head chef has served two Chinese Presidents and is known for its delicious Peking Duck, which it limits to just 20 orders per day. If you’re looking for the best Chinese food in San Francisco, Chili House SF is an obvious choice. Tapas dining became popular in the 90’s, and it’s still a great way to hit the town for drinks and small plates after work or during an evening out with friends. If you want a more authentic tapas experience, check out the Spanish cuisine at Canela Bistro in the Castro district (2272 Market St.). Canela Bistro and Wine Bar has been serving both small and meal-sized plates since 2011, and now offers more seasonal choices. If you’re looking for a San Francisco steakhouse that’s not a chain, put Harris’ Restaurant at the top of your list. This landmark steakhouse took over the address (2100 Van Ness Ave) of Grisons more than 30 years ago and is the embodiment of the classic steakhouse. Here you’ll enjoy Midwest corn-fed beef cooked on a mesquite-fired grill. It’s hard to think of San Francisco without picturing the seafood. While it may not be fancy dining, you’ll get some of the most delicious and authentic San Francisco seafood at Swan Oyster Depot (1517 Polk St.). Fresh clams and oysters are the specialty here but don’t forget to try their delicious combo salad. Anthony Bourdain himself is known to by, so be prepared for long lines. Yes, burrito is an actual cuisine in San Francisco. So much so that there have been multiple contests and surveys to root out the best burrito in the City by the Bay. This almost comes down to a matter of personal taste, but Business Insider recently awarded El Farolito the title as having the best burrito in San Francisco. Head to 2779 Mission St. to try one of their massive burritos stuffed with rice, salsa, and other fresh ingredients. There is something immensely satisfying about having a good meal in a beautiful city. Whether you’re in the mood for tapas, Italian, or Chinese, the top-notch choices available in San Francisco are sure to satisfy even the most discriminating palette. If you’re getting ready to visit San Francisco, you’ll be in good company. 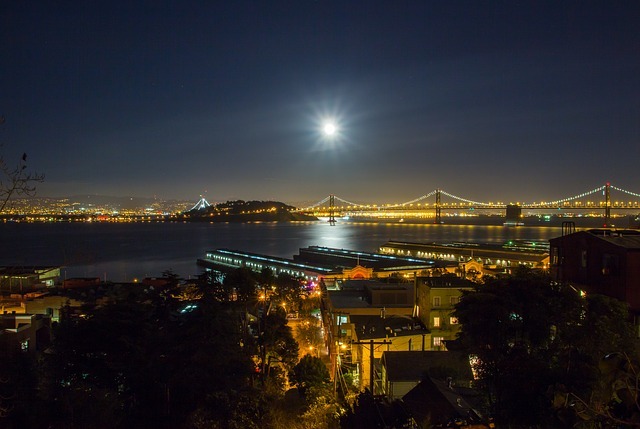 The City by the Bay receives upwards of 25 million visitors per year on top of its 864,000 inhabitants. Driving your own vehicle around San Francisco is probably not the most efficient or affordable way to get from point A to point B.
San Francisco itself isn’t a large city geographically. It’s 49 square miles and divided into distinct neighborhoods or districts. The good news is that most of the tourist attractions are in a much smaller area. 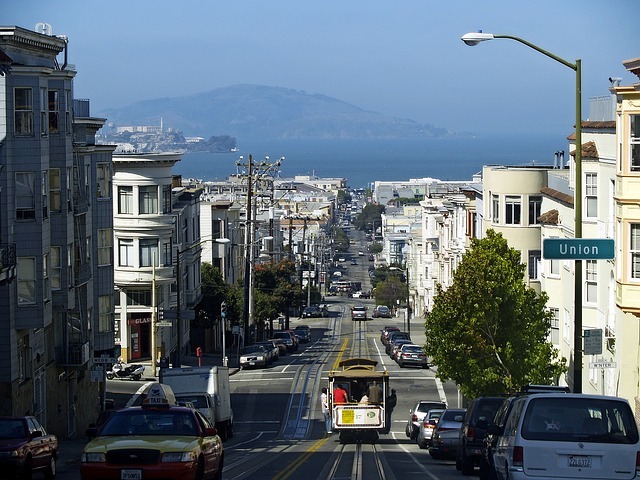 For example, within just a mile and a half, you can visit Fisherman’s Wharf, Chinatown, Union Square, and North Beach. 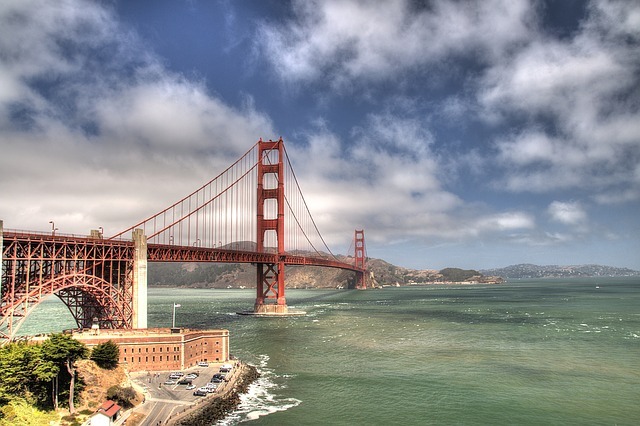 Here are some tips to help you navigate San Francisco on your upcoming visit. Again, bad idea. You can be a seasoned world traveler and attempting to drive in or find a parking space in San Francisco will probably get the best of you. Driving from place to place will not only cost you a fortune in parking, but it will also eat up significant time and effort. For example, parking in San Francisco’s Chinatown is notoriously difficult with the narrow streets and few parking spaces. There is limited street parking and just a few paid garages. Yes, you should visit Chinatown, but definitely make plans to get there another way. Like we just mentioned, parking spots are limited. Not only are they scarce, but they can also be pricey. For example, paid lots and garages in Chinatown charge anywhere from $1 to $6 per hour depending on the day of the week and time of day. Not only do rates change, but spots can be difficult to find during peak visiting hours, which is why you are better served by different modes of transportation in the city. Assuming you’re flying into one of the area’s major airports, you can take BART into the city. Short for the Bay Area Rapid Transit, this the commuter rail that extends around the San Francisco Bay area. A roundtrip fare from SFO to downtown San Francisco is around $18, and the ride takes about 30 minutes. 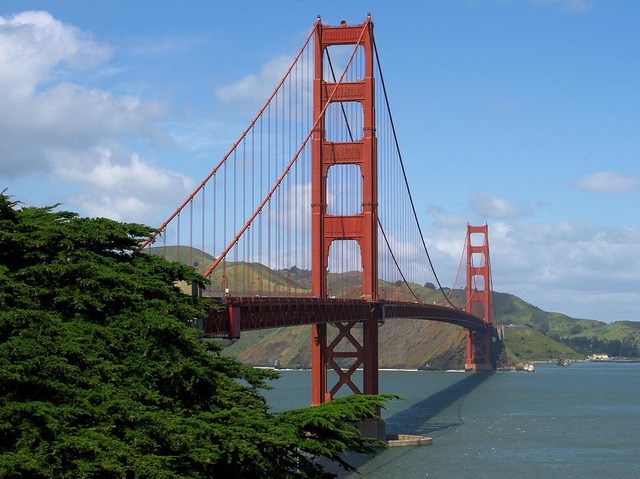 Called the Muni, the San Francisco bus system literally reaches everywhere so you can take it to visit such attractions as the Golden Gate Bridge and Golden Gate Park. Just take note that the buses will be more crowded during rush hour and the time around the school day. 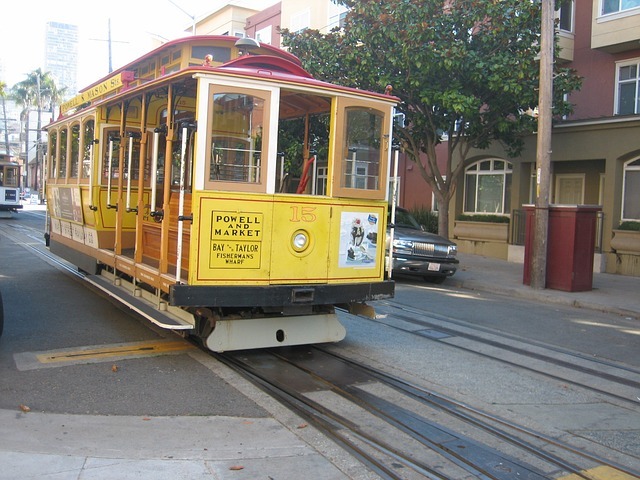 What would be a visit to San Francisco without riding on the city’s famed cable cars? These fun and functional cars stop at most of the city’s popular destinations such as Ghirardelli Square, Union Square, Chinatown, and Fisherman’s Wharf. The only downside is that you may have to wait to jump on a car. Another option for getting around San Francisco is to use ridesharing apps and taxi services. The former is hipper and more affordable, while the latter may be more convenient. This comes down to personal preference as the availability of both in the city is high. 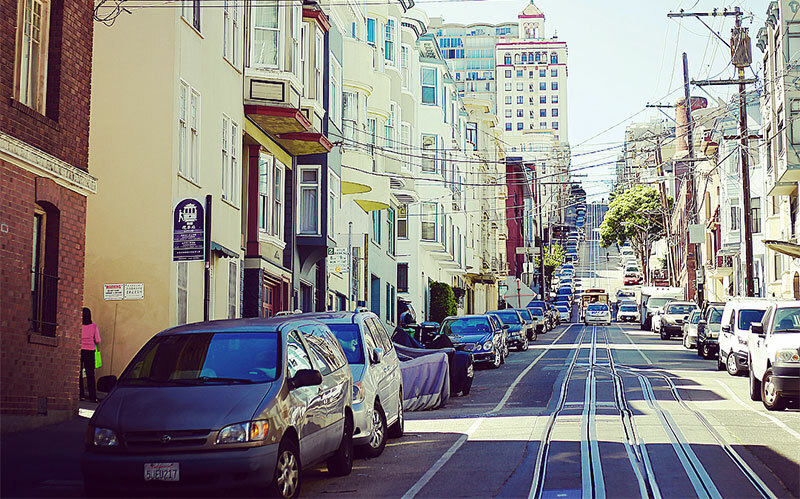 You will see and experience more of San Francisco by walking or biking as much as possible. Granted, this is a hilly city, so you might want to use a strategy for your walking tours. Not only is walking some of these areas cheap (it’s free), but some are completely flat such as parts of Chinatown and North Beach. You can also rent bicycles through the city’s bike sharing program called GoBike. Navigating large cities like San Francisco may seem intimidating at first glance. It can certainly be a challenge if you attempt to make your way around town in your own car or without a plan. These tips should make your visit much more convenient, affordable, and enjoyable. 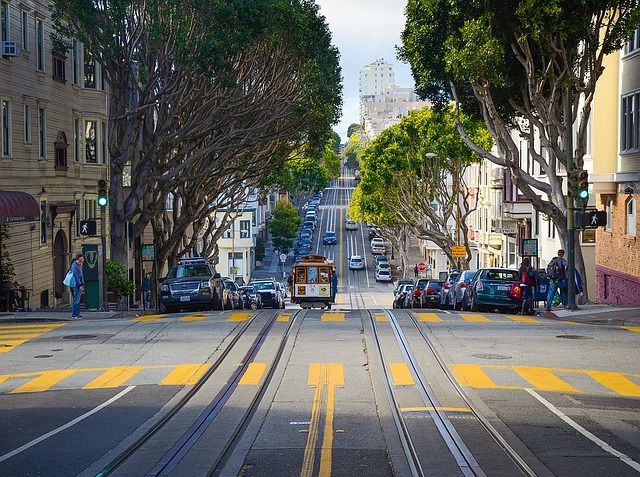 Whether you’re the kind of traveler who seeks out the great architecture of every city or a casual traveler seeking inspiration for your own home projects, San Francisco has much to offer when it comes to buildings of historic design interest. And to enjoy them, you don’t even need a tour guide! Enjoy these 4 San Francisco sites on foot and soak in the best the city has to offer. Outside of the Golden Gate bridge and the cable cars, San Francisco’s Painted Ladies may be the most recognizable architectural highlight. These multi-storey Victorian homes built between 1849 and 1915 feature bright colors and elaborate trimmings. Lined up beside each other, the Painted Ladies have tall front steps, porch lattice, and numerous windows. No architecture buff wants to miss these beauties, which actually took on their distinctive colors during the 1960s and 70s as part of what became known as the colorist movement. And for those just hoping for insights into what trim their home should feature – well, there’s plenty of inspiration for that too. Another famous area of San Francisco is the Cow Hollow neighborhood, formerly a major player in the dairy industry. Today Cow Hollow is a hip neighborhood with a variety of shops and restaurants, but it still features an array of Edwardian, art deco, and Victorian architecture. Of particular interest in Cow Hollow is the Vedanta temple built in 1905. Utterly unclassifiable, the building is influenced by a combination of Colonial, Hindu, Moorish, and Queen Anne architecture. The Marina area of San Francisco is right next to Cow Hollow and yet again demonstrates diverse architectural influences. The area was also home to the Panama Pacific International Exhibition in 1915. The only remaining building from this period, however, is the Palace of Fine Arts, an elaborate arched structure sitting beside the water. The Palace of Fine Arts’ importance to the San Francisco community has stood the test of time. The structure was meant to be demolished like the rest of the structures from the Exhibition but was kept due to its striking beauty. The Palace survived the 1989 earthquake the badly shook the area and stands as proudly as ever. Built in 1861, San Francisco’s Octagon House is now considered a historic landmark and is home to the Colonial and Federal Periods Decorative Arts Museum. Like the Palace of Fine Arts, Octagon House was meant to be razed in the 1950s. Instead, with community support the building remained and in 1953 a time capsule was found in the building, bringing to light much of the history of this former home. Architectural highlights of the Octagon House include its beautiful spiral staircase, its four chimneys, and flat,slightly dipped roof. It features 29 usable rooms, though some count closets and passageways, giving a total of 57 separate spaces. There’s plenty to do in San Francisco, so it’s time to lace up your walking shoes and hit the road. Enjoy this walker’s city, grab a ride on a streetcar, and explore the architectural beauty that awaits. United States of America is the perfect place to pamper oneself. It has the best of luxury and customized services on offer. For making a holiday memorable the sure shot way is to stay stylishly at the top luxury hotels or resorts in the country. Los Angeles in US is the Entertainment Capital of the World and not just the country itself. There are quite a few top rated hotels in the area. Featuring on this list is the Bel Air. Not just luxurious this boutique hotel is often referred when the most romantic or most beautiful hotels of the World are mentioned. This boutique hotel is owned by the Brunei Investment Agency and operated by the Dorchester Collection. It is strategically located close to the tourist attraction of Los Angeles and the Beverly Hills. This romantic getaway is spread over 12 acres of picturesque settings and has been serving as a tranquil hideaway for many. The hotel has some 58 guest-rooms, 45 suites of which 7 are specialty suites. The interiors are heavily inspired by the Hollywood and its glamour during the past (read 1930 to 1950s). There is a dash of Southern Californian residential architecture along with Spanish colonial, French Deco and stunning glorious gardens. Millions of tourists, from within the country and overseas, visit Los Angeles every year. Of course entertainment is often the top choice for those on a holiday. Interestingly the foreign nationals also opt for this destination owing to its popularity. They often need to obtain a valid tourist visa for lawful entry. The Visa Waiver Program allows citizens of few countries to visit temporarily by applying for ESTA visa authorization only. The soothing and welcoming environs offer the perfect setting for a much awarded Spa service by La Prairie. There are 7 treatment rooms, mosaic steam and relaxation areas besides a fitness studio promoting health and wellness for the guests. 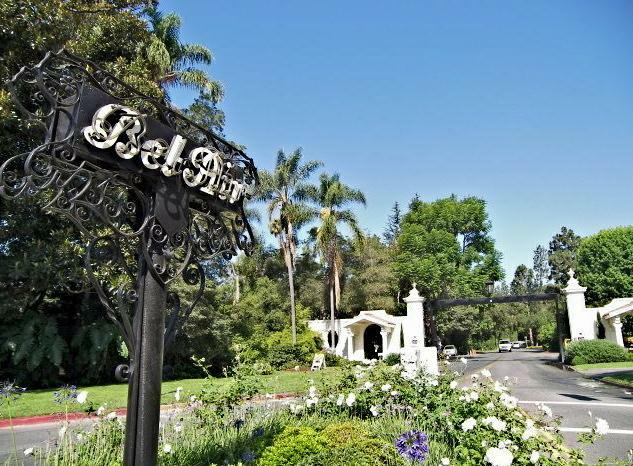 No doubt besides the celebs, dignitaries too have chosen Bel Air for their stay. The hotel known for its hospitality, backdrops and facilities is an awesome option for hosting wedding and other celebrations. These outdoor gardens are suitable for intimate as well as large gatherings. Many have chosen it for day or evening wedding. The three resident swans in its lake are famous choices for photo shoot backdrops. A trainer instructor can also be arranged for those wishing to practice yoga in the personal sessions with personal attention. The food or rather culinary delights here match the ambiance. Wolfgang Puck has catered to the top of the guests and events including the Grammys, Emmy’s and the Oscar Governors Ball. The much awarded restaurant services sumptuous food with smile and flawless service. Using fresh and seasonal vegetables the chefs here serve mouth watering dishes at the garden areas, dining room, alfresco terrace and the bar lounge. Since it is frequent by the celebs, Joseph Martin Hair & Beauty is ready with quality hair and beauty services. Certainly one of America’s greatest city, San Francisco should be on everyone’s list of places to visit. I had the chance to visit San Francisco a few months ago when I took a vacation, and what can I say? This city is a must-visit. One of the most amazing things about the city is that nature is pretty much everywhere you turn to, a welcome break from the concrete jungle that my partner and I are accustomed to. Located at the tip of the Peninsula, San Fran is home to numerous walking trails, providing the perfect way to keep fit as well as savor nature. My partner loves to cycle, so the numerous cycling trails made the vacation an exhilarating adventure. The food lovers that we are, we had to create time to visit the numerous restaurants that dot the city. What stands out about many of these establishments of the ‘farm-to-table’ notion, meaning that there is easy access to organic produce. We made sure to visit Chez Panisse to sample this trend; suffice to say we were not disappointed and would actually recommend this. A vacation to San Francisco is incomplete without a trip to the famous Ferry Plaza Farmers’s market for fresh produce. We proceeded to Napa Valley for wine-tasting, the perfect activity for a sunny afternoon. Away from food, wine and fun, we took some time to tour major attractions within the city, and our first stop was Alcatraz. My fascination with Alcatraz began after watching a number of movies that featured this attraction. Touring the island on which it is located, and listening to the audios on tour can be a tad bit chilling, but certainly worth it. From Alcatraz we proceeded to De Young Museum, situated in Golden Gate Park. The museum is home to contemporary art, and has a strategic look tower that affords visitors majestic views of San Francisco’s skyline. Cable cars in San Francisco are an amazing way to experience the city’s thrills, and although there’s only 3 lines today, the experience is one I relish! What better way to enjoy the city than by standing atop the running board clinging on to the pole for dear life as the wind rushes past your ears? After the adrenaline of the cable cars, we headed to Muir woods, an interesting attraction because it among the few redwood forested areas remaining. The serenity of Muir woods almost serenades you to spend your life in San Francisco, if only to get up close with nature. We ended the vacation by taking memorable photographs at the iconic Golden Gate Bridge and topping it up with a sunset walk. Spending time in this eclectic city was certainly a highlight this year!